A disappointing derby against City was the final Premier League game for the Red Devils before numerous players headed off for the international break. From Thursday November 15 until Wednesday November 21, 12 United players represented their countries. Our number one goalkeeper endured mixed fortunes during the international break. Spain lost 3-2 to Croatia in their UEFA Nations League match. De Gea conceded a last-minute goal which drew much criticism from Spanish media outlets. And with Kepa, Chelsea's first-choice goalkeeper, on his heels De Gea will certainly want to step up his performances. Reflection: Even the world's best have wobbles. But for De Gea, this has gone on for too long. Having only kept one clean sheet this season in the League, the Spaniard seems a shadow of his former self. Not everything has been his fault. Our leaky defence has had fear written over their faces at the start of most matches. And he still pulls off some marvellous and yet frankly ridiculous saves. De Gea's quality should not be questioned. Argentina beat Mexico 2-0 as Romero was an unused sub. He has been their first-choice keeper for a considerable amount of time. Reflection: Romero has often stepped up for us when called upon. His situation is not unique- there are a plethora of talented goalkeepers who simply are behind in the pecking order. But United should look to keep him. Sergio would get into most Premier League teams. For him, it's a shame he is at the same club as the world's best goalkeeper. Sweden gained promotion from League B of the UEFA Nations League after victories against Turkey (1-0) and Russia (2-0). 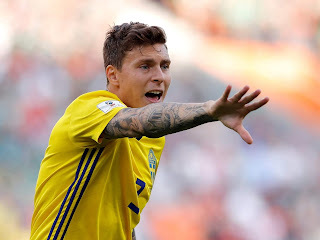 Lindelof played both games and Sweden kept clean sheets each time (see a pattern?) Even better for the young defender, he scored with a Zlatan-esque strike in the 41st minute to open the scoring against Russia. Reflection: The days of watching Lindelof with a sense of overwhelming fear or anticipation as to when his next mistake will come do not seem so long ago. But credit to Victor, he has really turned things around. Now he plays with more confidence, assurance and intelligence. No one is saying he is the finished article yet, but he needs to translate his international form into his club games. If he continues this form, he can really cement his place as our first-choice centre back. Reflection: Eric Bailly is a talented defender. But things went wrong very quickly and he just has not been able to recover. For Bailly's sake, he probably needs to look for a new club in January. His hard work is reflected in the fact he scored his first goal for United this season against Leceister City. Reflection: A truly honourable and loyal servant of the club. He's completely revitalised his style of football, and in doing so, saved his career at Manchester United by switching from a winger to a full-back. Who can forget his absolute thunderbolt of a goal against Everton last season? But reports have suggested he has experienced a tense relationship with Mourinho having not started the past seven games. And the fact that he liked an Instagram post which called for the sacking of 'The Special' would not have helped his chances of regaining first-team action. Valencia needs a miracle to get back into the side. Reflection: For all the criticism that has been hurled towards Matic recently, he did win goal of the season in our end of season awards. And with a player of his talent, it's only a matter of time before he finds his rhythm again. 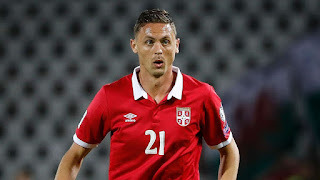 Whatever is preventing Matic from producing his very best needs to be resolved quickly. Called into the squad after four injuries from the final 23-man squad, Scott McTominay certainly used his chance to impress. 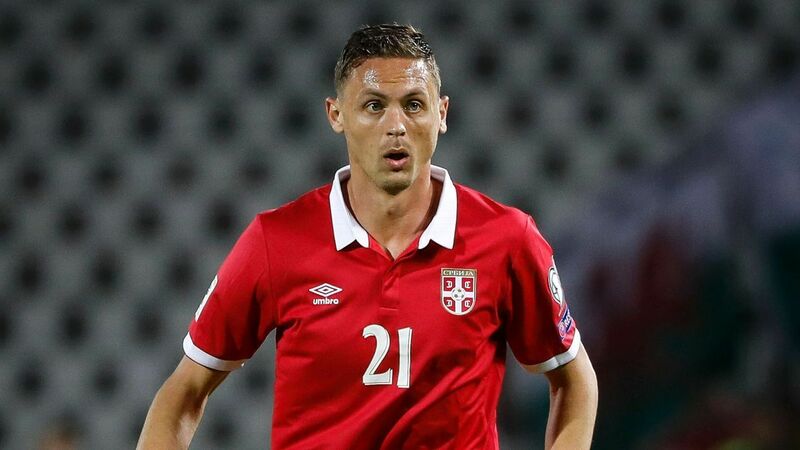 He came on as a substitute in both of Scotland's victories against Albania and Israel. Reflection: Jose Mourinho sees potential in him, and it's clear to see why. If he can learn from the likes of Matic and Herrera, there's no doubt he can be bossing our midfield in years to come. If McTominay can keep his head down and continue working hard then he can go as far as he wants. Two games. Two goals. Things couldn't have gone any better for the prolific midfielder. Energy and enthusiasm both in his personality and play has seen the transformation from a squad player to an integral feature of both Manchester United and England's starting XI's. He really can do it all. A curling strike from outside the box in the match against the USA to a tap-in a few days later against Croatia. Reflection: Jesse has shown what we can do, but now is the time for him to really take hold of his footballing career and produce world-class performances week-in, week-out. We want to start talking about Lingard in the same sentence as the likes of Modric. Reflection: Media reports have been circulating that Sanchez is considering a move away from Old Trafford in January. 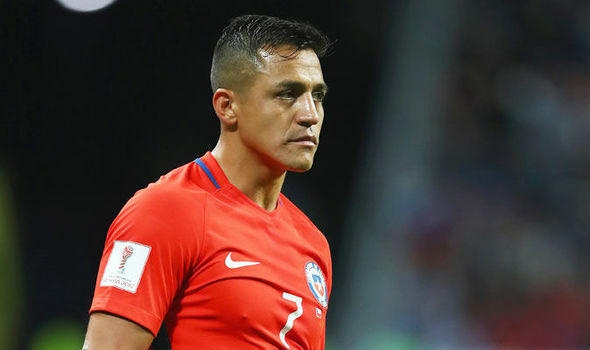 Let's be honest, we all know, including Sanchez himself, that he has not performed anywhere near the levels or consistency we expected from him. Yet his sheer quality and tenacity both on and off the ball can win you games- so it would be unwise for us to sell him in the upcoming transfer window. Sanchez just needs to buy into Jose Mourinho's philosophy more, and in doing so, maybe the clinical finisher we know is inside him will return. Sanchez needs to prove everyone wrong. If not, this could be his last season here. Reflection: For such a young player, he has achieved so much. His rise through the ranks from scoring on his Manchester United and England debuts to playing in the 2018 World Cup show just how much potential he has.We need to accept that Rashford is still learning how to become a great striker. But there's no doubt that he will turn into one. What he needs to do now is concentrate on improving his consistency in games; whether he's deployed to the left or right wing (even though it's his less preferable position) or if Mourinho trusts him to lead the line from the front. If Rashford focuses on doing what he does best, then he'll be starting upfront for both club and country. Reflection: Record goal-scorer for Belgium (45) at the age of only 25 tells you all you need to know about Lukaku. There needs to be better chemistry between Lukaku and the team on the pitch to get the very best out of him. Manchester United return to action on Saturday November 24 for a 3pm kick-off against Crystal Palace at Old Trafford.